Joseph Bass, MD, PhD, the Charles F. Kettering Professor of Medicine in the Division of Endocrinology and director of the Center for Diabetes and Metabolism, was the senior author of the study that found how circadian rhythm coordinates hunger. Northwestern Medicine scientists have explained how circadian rhythm regulates hunger, a long-suspected connection that was confirmed by the study published in Cell Metabolism. The scientists traced the regulation to a group of neurons in the hypothalamus, a brain region that coordinates autonomic functions like body temperature, thirst and hunger. Mammalian circadian rhythm is regulated by a complex gene transcription feedback loop, a Nobel-prize winning discovery that evolved from initial findings of Northwestern studies published in the 2000s. Specialized cells detect light or darkness, and through gene transcription set a day and night cycle that influences a variety of functions. While earlier studies had hinted at how circadian rhythm regulated hunger, the exact molecular pathway was unknown. 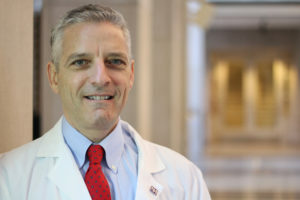 “We didn’t know much about how that timing process influenced our appetite or how the body metabolizes what we eat,” said Bass, who is also a member of the Robert H. Lurie Comprehensive Cancer Center of Northwestern University. In the current study, Bass and his colleagues zeroed in on a population of neurons in the hypothalamus, called AgRP neurons. These neurons are “central command” for hunger, Bass said, and integrate a variety of signals before “broadcasting” hunger or satiation to the rest of the brain. 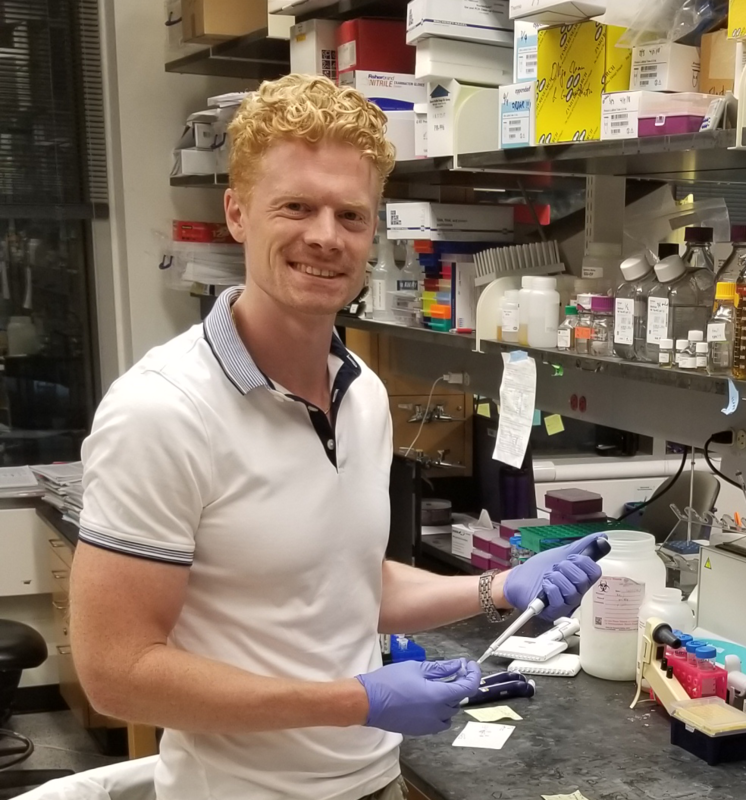 Jonathan Cedernaes, PhD, a postdoctoral fellow in Bass’ laboratory and first author of the study, turned off clock transcription in only the AgRP neurons of mice, finding it disrupted the mice’s feeding patterns. 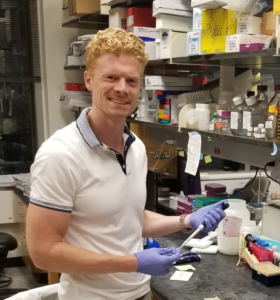 Jonathan Cedernaes, PhD, a postdoctoral fellow in Bass’ laboratory, was first author of the study published in Cell Metabolism. This demonstrated that clock transcription is an important input into AgRP cells; without it, the ability to regulate hunger is lost. Further analysis also revealed substantial overlap between genes in the AgRP neurons that regulate appetite and genes that control mitochondrial function in cells, an important finding according to Bass. “The clock genes have some fundamental role to regulate hunger, and it’s doing that through the control of genes that are involved in providing energy to neurons,” Bass said. Learning more about how these networks operate is crucial to better understanding how body weight is controlled, according to Bass. Other Feinberg co-authors include Wenyu Huang, MD, PhD, assistant professor of Medicine in the Division of Endocrinology, and Kathryn Ramsey, PhD, research assistant professor of Medicine in the Division of Endocrinology. The study was supported by the National Institute of Diabetes and Digestive and Kidney Diseases (NIDDK) grants R01DK090625, R01DK113011, R01DK100814, and P01DK049210; the National Institute on Aging grant P01AG011412; the National Institute of Mental Health grant R01MH110556; the Chicago Biomedical Consortium S-007; the University of Chicago Diabetes Research and Training Center grant P60DK020595; the NIDDK award K01DK105137-02; the Swedish Research Council grant 2014-6888; and the Swedish Society for Medical Research.